Due to the development of CRISPR and TALEN technologies, the field of genome editing is evolving rapidly. This post highlights the natural evolution of these technologies leading to outsourcing gene editing to skilled service providers. Off-target effects. Source: Xie et al. doi:10.1371/journal.pone.0100448.g001. Interest in CRISPR-based genome-editing has never been higher, and numerous research teams have been successful at introducing precise changes to the genomic DNA of their desired cell lines. To do so, convenient Genome-CRISP kits, Cas 9 expression lentiviruses and plasmids or even chemically-synthesized Cas9 RNAs are now readily available. Nevertheless, the CRISPR technology might lead to off-target effects. This means that, in addition to introducing a mutation or tag where you want to, you’re also likely introducing mutations at other sites in the genome. For this reason, some researchers are preferring the TALEN technology, as it is thought to be more specific. The main issue with the TALEN system is that it is complicated from an operational standpoint. A lab would have to have a dedicated workflow in order to be able to routinely perform TALEN-based genome editing. 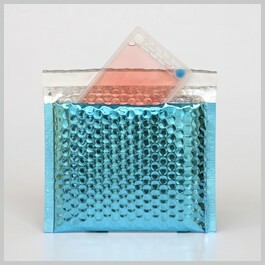 Petaka Mailer for Shipping Cells at Room Temperature. GeneCopoeia and tebu-bio agreed on developing a partnership for researchers looking for outsourced CRISPR-Cas or TALEN genome editing. The idea of shipping a cell line internationally through customs on dry ice and dealing with a company 6 time zones away for a genome editing service is a bit intimidating. European scientists are encouraged to contact tebu-bio’s technical specialists to discuss both their product design and to understand how they will have the option to let tebu-bio ship the cells for them on dry ice or to ship the cells themselves at room temperature using the PetakaG3 system (FLPTK25 Petaka G3 Flat, MAPTK10 Petaka Mailer). What to know more about Genome Editing solutions by GeneCopoeia & tebu-bio? For any questions contact me by using the form below!